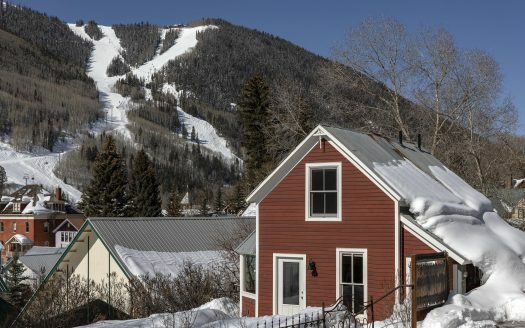 This spacious well-built home sits on Deep Creek Mesa and features exceptional, panoramic views back into the box canyon, up to the Ski Area and out to the Wilsons and the west. Walk in the front door on a winter day and it’s like looking out into your own little Telluride snow globe. On the other side of the house the master suite features stunning Wilson views. With 4-bedrooms, each with en-suite bathrooms, generous office space and a comfortable, open living and kitchen area the house is designed to maximize the 270-degree views and a separate elevated tower offers 360-degree views of the region. A Viking stove, Sub-Zero fridge, granite counter tops, gas fireplace and in-floor radiant heat are just some of the property’s features and a spacious 2-car garage offers plenty of storage.